Mr Song Tao's trip to North Korea comes just a week after U.S. President Donald Trump visited Beijing as part of an Asia tour, where he pressed for greater action to rein in North Korea, especially from China, with which North Korea does 90 percent of its trade. 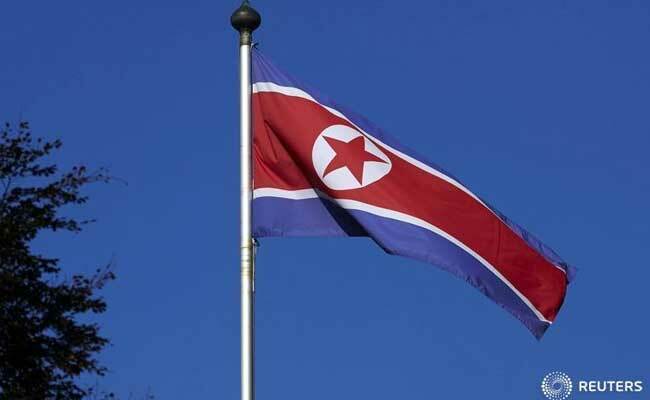 Seoul: China's special envoy on North Korea met high-ranking North Korean official Choe Ryong Hae after he arrived in the capital, Pyongyang, the North's official KCNA news agency said today. Special representative Song Tao, the head of the ruling Communist Party's external affairs department, informed Mr Choe about China's 19th National Congress "in detail," and stressed China's stance to steadily develop the traditionally friendly relations between the two parties and countries, KCNA said. China has yet to offer any details of Mr Song's visit, which began yesterday, and it is unclear how long he will be in North Korea. The influential state-run Chinese tabloid the Global Times said in an editorial that it was unwise to expect too much from his trip, saying his key mission was to inform North Korea about the recently concluded Communist Party Congress in Beijing. "Song is not a magician," the newspaper said. "The key to easing the situation on the peninsula lies in the hands of Washington and Pyongyang. If both sides insist on their own logic and refuse to move in the same direction, even if Song opens a door for talks, the door could be closed any time." China has repeatedly pushed for a diplomatic solution to the crisis over North Korea's development of nuclear weapons and missiles to carry them, but in recent months it has had only limited high-level exchanges with North Korea. The last time China's special envoy for North Korea visited the country was in February last year. Mr Song's trip comes just a week after U.S. President Donald Trump visited Beijing as part of an Asia tour, where he pressed for greater action to rein in North Korea, especially from China, with which North Korea does 90 percent of its trade. Mr Song has already visited Vietnam and Laos to inform them of the results of the congress, a typical courtesy China extends other communist countries after such important meetings. It is not clear whether Mr Song will meet North Korea's youthful leader Kim Jong Un. Mr Kim and Chinese President Xi Jinping exchanged messages of congratulations and thanks over the Chinese party congress, but neither leader has visited the other's country since assuming power. Mr Song's department is in charge of the party's relations with foreign political parties, and has traditionally served as a conduit for Chinese diplomacy with North Korea. China's new special envoy for North Korea, Kong Xuanyou, who took up his position in August, is not believed to have visited the country since assuming the job.